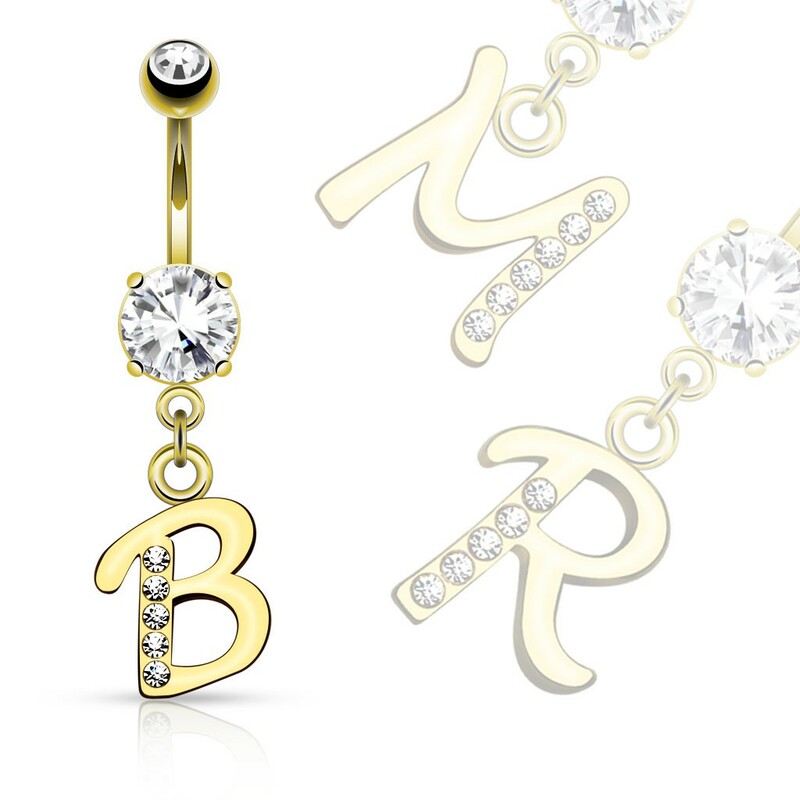 A personal touch, with this gold plated belly button piercing you get to choose which letter you want as your pendant. Almost all the letters from the aplhabet are available except the uncommon ones like X, Y, Z and others. Each letter has one side that carries several clear crystals.